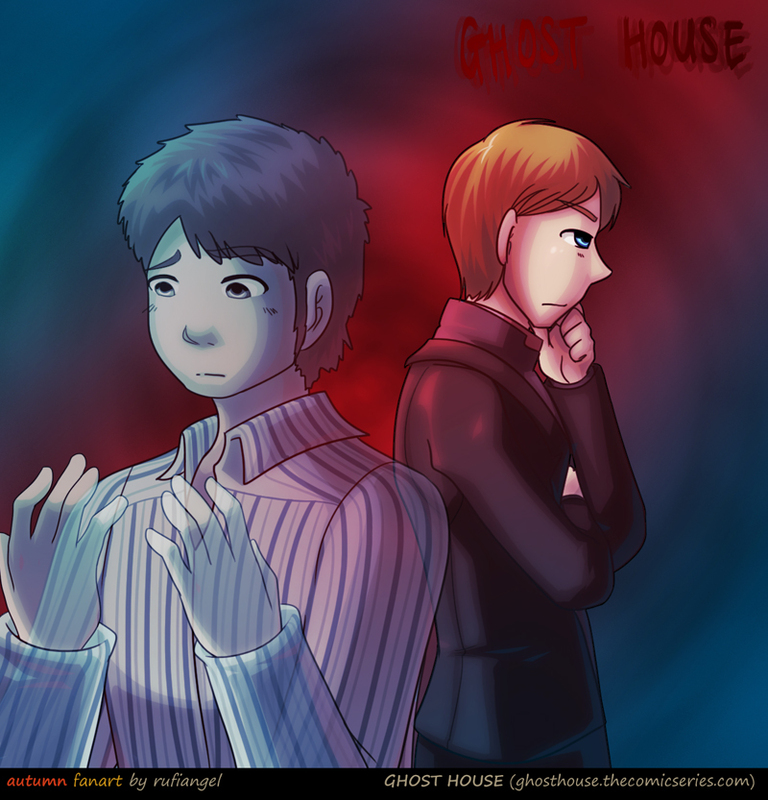 Fanart of Ghost House. This piece was drawn by rufiangel. the use of colors are awesome! Oooh, yes! The colors are great! So is the drawing! All around wonderful! Nice colors! That shirt really turned out well. Exactly, the pin stripes are so cool. Oh, wow... this is really cool. Well done! Everyone who has seen this fanart (and the comic Ghost House itself) can make this claim in a wholesome way! Goodness the colors here are LOVELY! I mean I'm REALLY impressed with this piece! Great job Rufiangel! !